Cyber Monday is stupid, but the books are on sale, anyway! In addition to the Multiplex Book set being 25% off, the individual Multiplex books are now 20% off each — and for you digital comics readers, the PDF eBooks are on sale, as well. Check out the EXTREME SAVINGS at the Multiplex Store today! I feel like a prostitute every time I write copy like this. Not that there’s anything wrong with that. Posted in Etc., Merch | Comments Off on Cyber Monday is stupid, but the books are on sale, anyway! 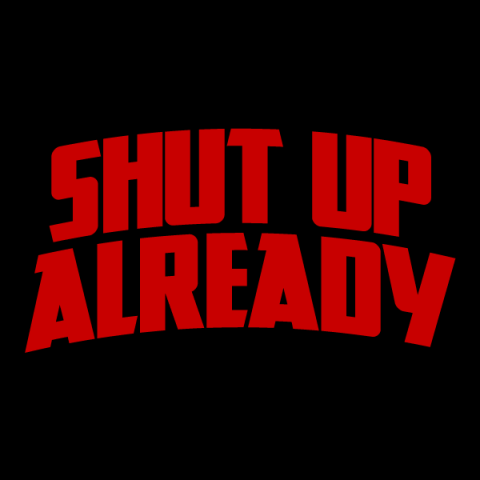 Shut Up Already T-shirt now available! Also, the books are on sale! Also! I know it’s rather early for this, but people have already started putting Christmas stuff up (bah humbug), so what the hell. 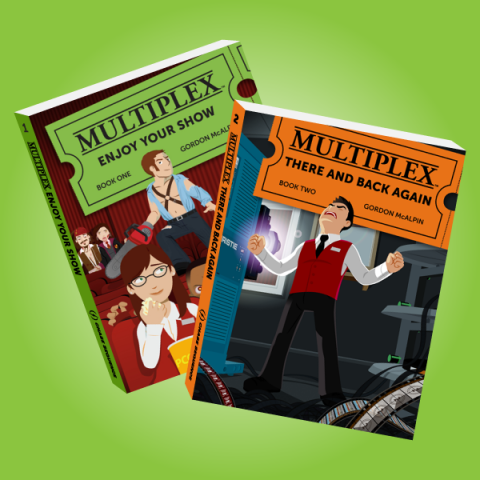 For the 2014 holiday season, if you buy BOTH Multiplex books from the store, you’ll get them for $10 off! Posted in Etc., Merch | Comments Off on Shut Up Already T-shirt now available! Also, the books are on sale! Kickstarter’s website is giving me trouble right now, so rather than make this a Book 2 backers-only strip, I guess everybody gets to read this one. It’s from the upcoming (soon!) 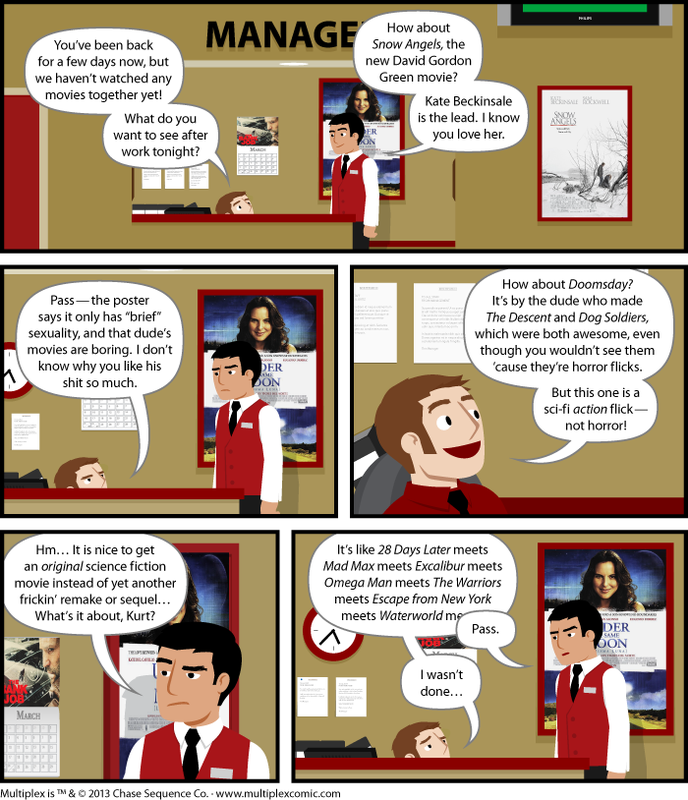 Chapter 7 eBook — and, of course, Multiplex: There and Back Again, a.k.a. Book 2 — and it’s set after Multiplex #140 in the archives, though the only significance of that is that Devi is back in town and she hasn’t dumped Jason yet. Kurt’s sense of humor has rubbed off on Melissa a little over the years, clearly. This and a couple of the other bonus comics in Chapter 7 are to show a little bit of Devi’s discontentment with their relationship. 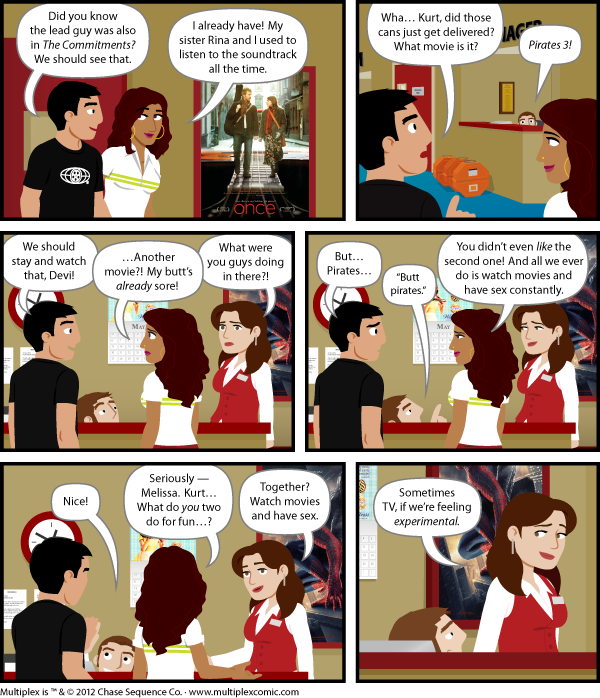 In the original strips, I felt Devi dumping Jason comes off a bit suddenly, even if the explanation — that Jason didn’t love her (enough) — was always kind of there. Anyway, so that’s where this bonus comic fits in.